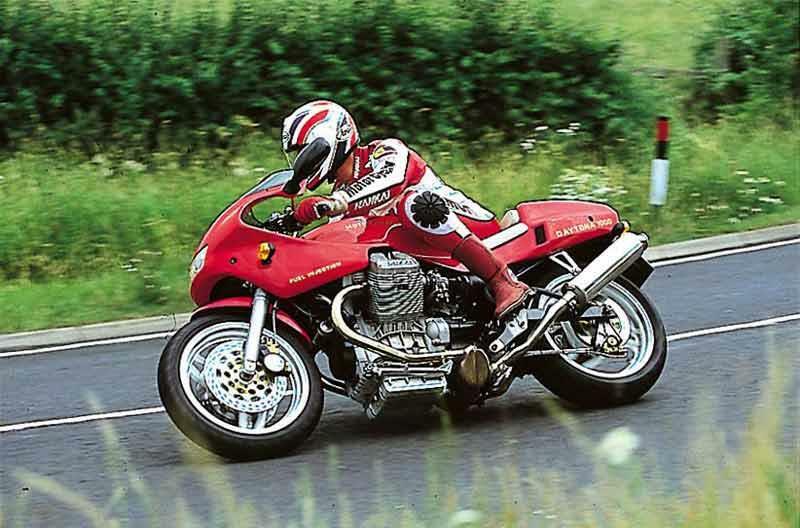 The Moto Guzzi Daytona was always the pure, no messin' about, Dr John race replica in the range, whether in 1000cc form, or the with the later 1100 motor. Fuelling problems spoil the performance a little bit, but there's a brutal elegance about the Daytona and true collector value. 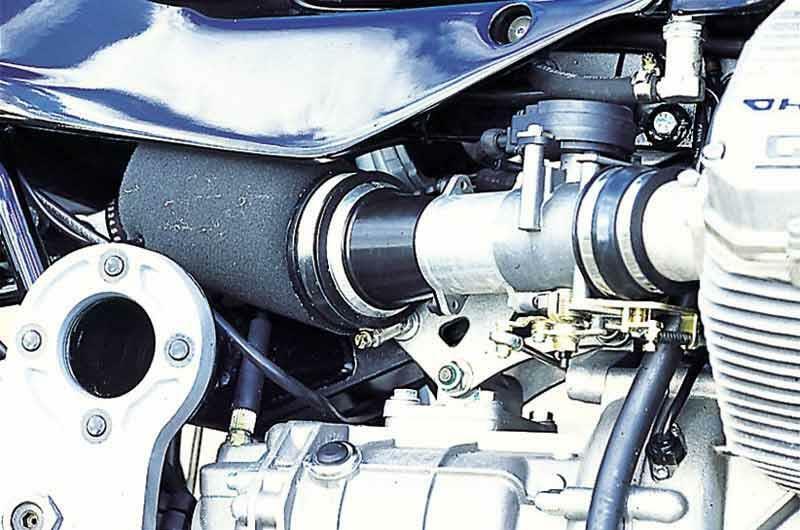 There's a claimed 102bhp from the Moto Guzzi 1100 Daytona motor, plus it runs cambelts, rather than old fashioned pushrods, and fuel injection. 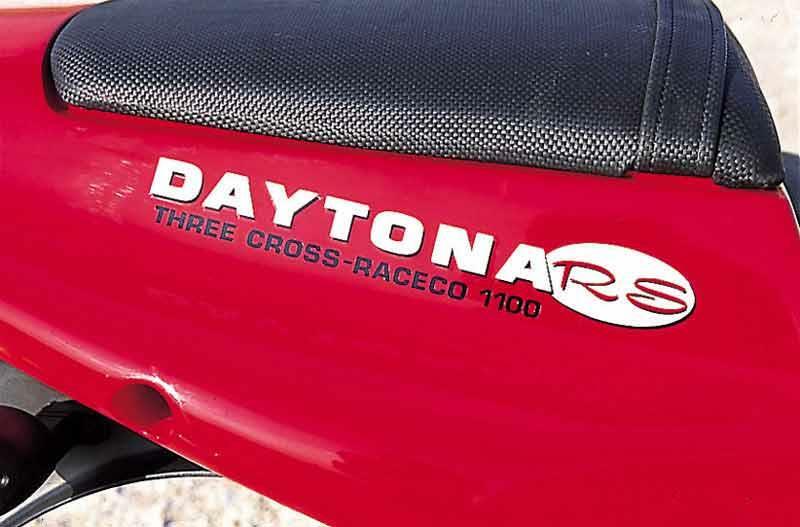 The 1997-98 UK Daytona models could have an optional 107bhp at the rear wheel, thanks to a Raceco conversion kit, chip, new exhaust etc. The more you push big, air cooled, V-twins in terms of capacity, piston speed and compression, the closer you get to meltdown basically. 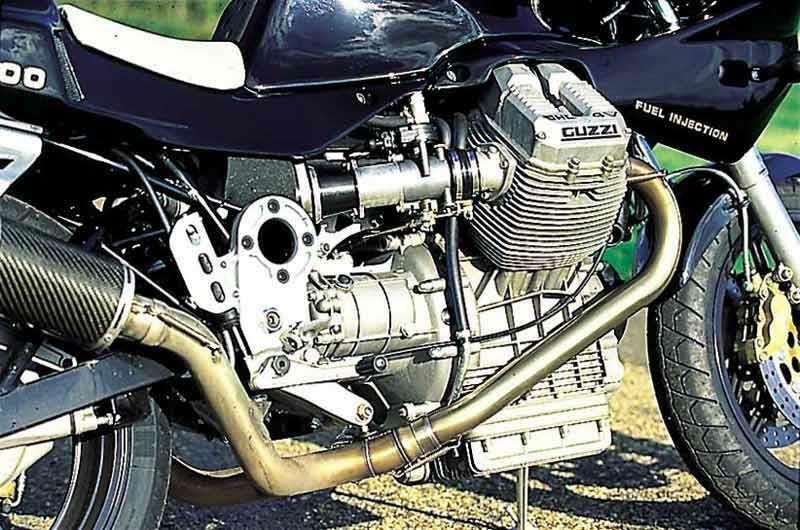 That's basic physics and by tuning the motor, and using indifferent quality control, Guzzi effectively made life interesting for Daytona owners. 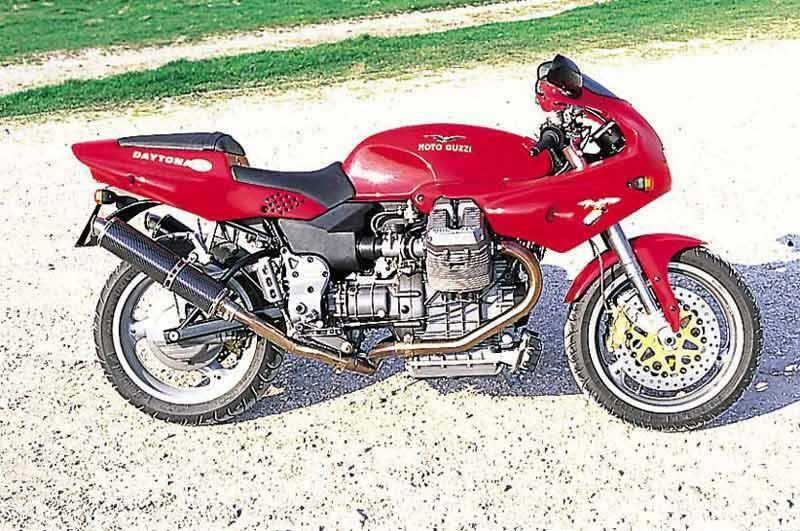 The Moto Guzzi Daytona RS is a rare thing, and likely to remain so, which makes resale values good. You could buy one, run it for three years and probably get your money back. Not a bad deal really, but riding it frequently could cost you big money in repairs/servicing. 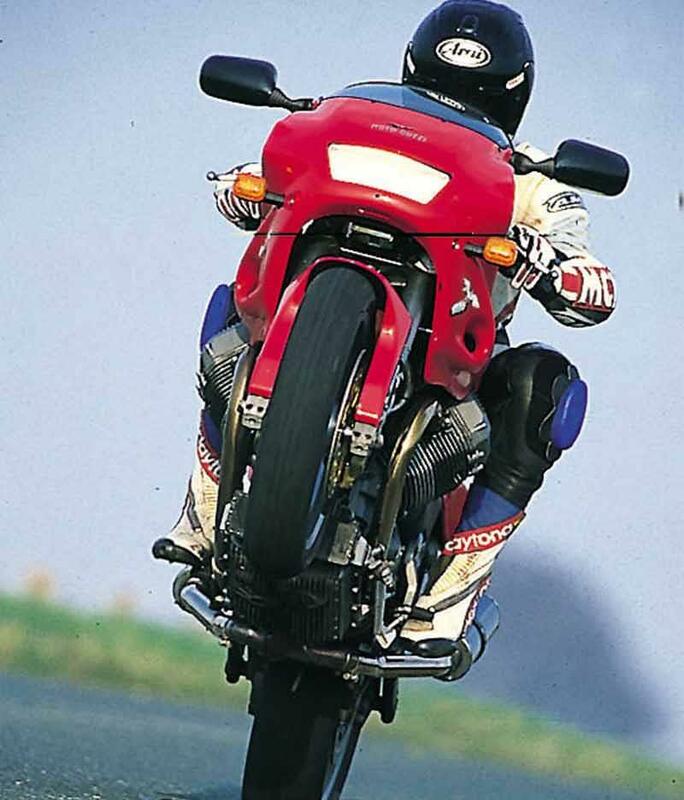 1992: Moto Guzzi Daytona RS1000 launched. 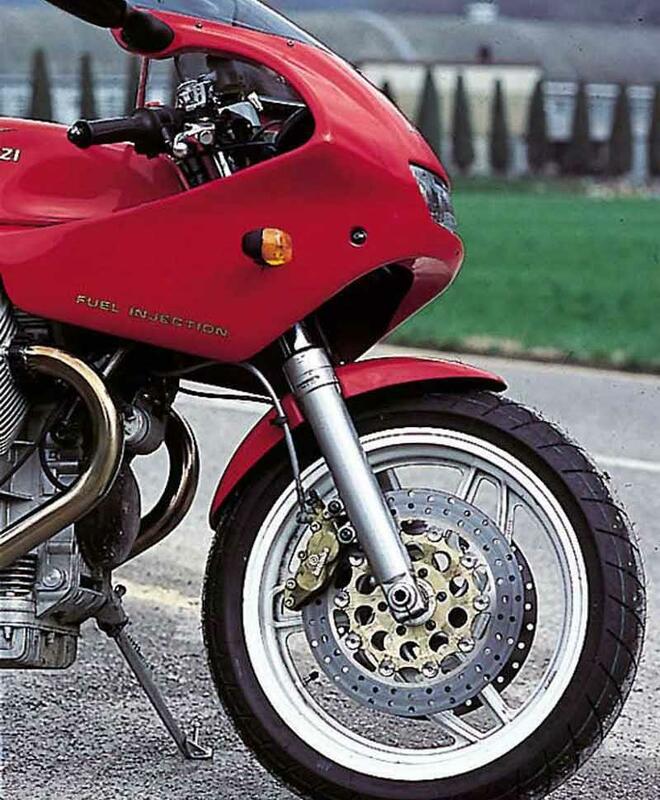 1994: Revised version of Moto Guzzi Daytona 1000; new bodywork, carbs, seat. 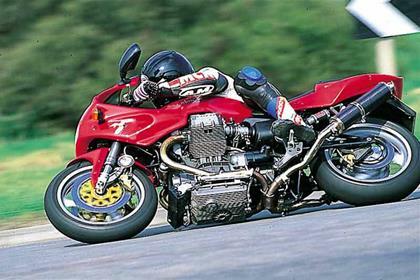 1995: Moto Guzzi Daytona RS1000 two seater version debuts. 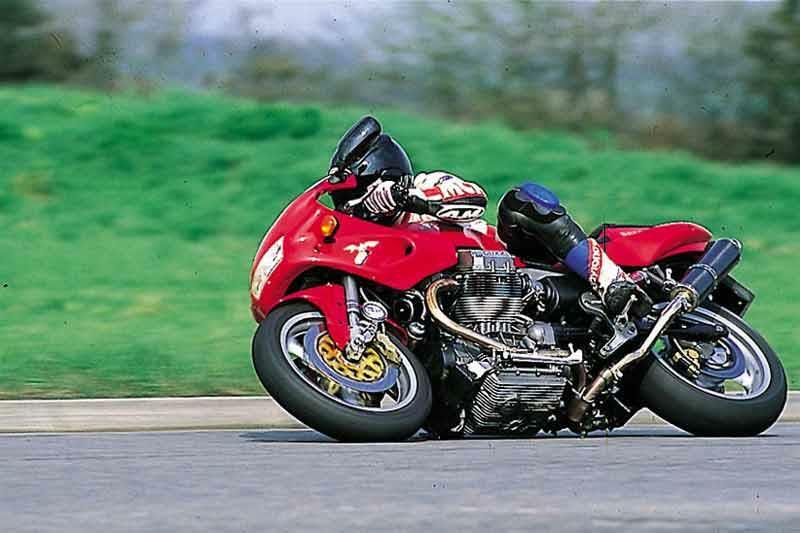 1996: Limited edition Moto Guzzi RS1000ie Racing available, single seat, 100bhp motor. 1996: Moto Guzzi Daytona RS1100 appears, with bigger motor, plus a range of chassis tweaks. 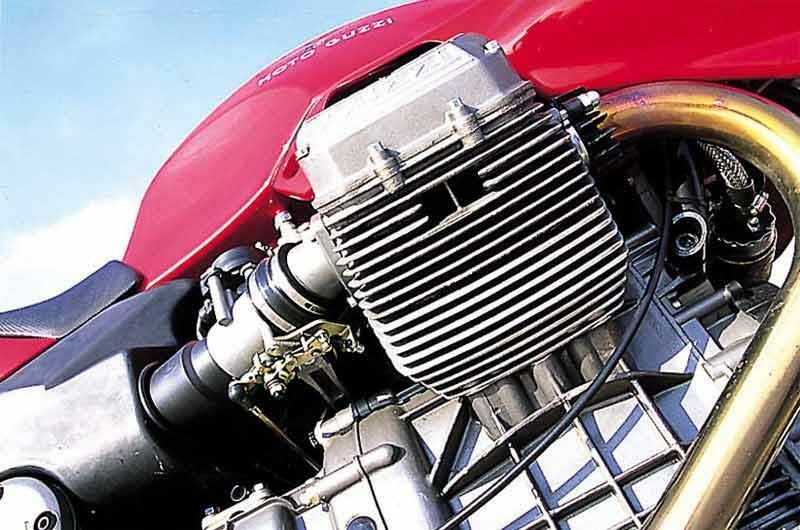 1999: Moto Guzzi Daytona discontinued. 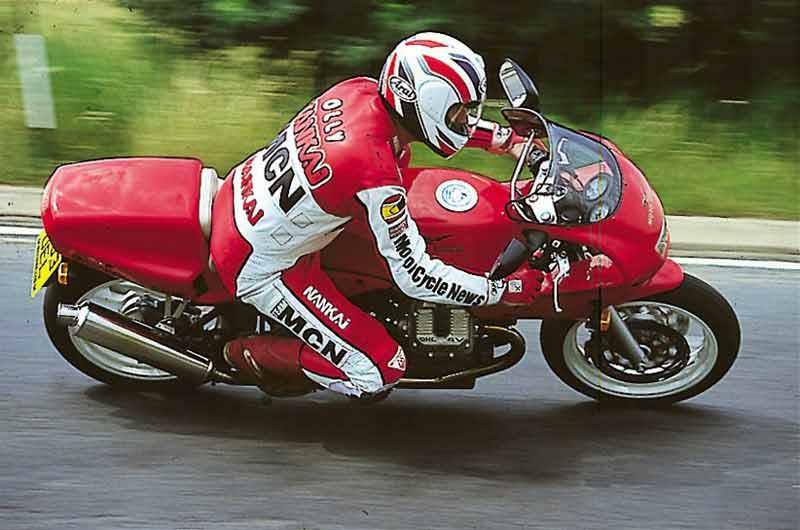 2 owners have reviewed their MOTO-GUZZI DAYTONA (1992-1999) and rated it in a number of areas. Read what they have to say and what they like and dislike about the bike below. Had one for 8 years from new - use it for blasts - it’s not a tourer! The handling is great when you get rid of the Pirelli tyres and fit something better like Bridgestone - it pretty much over steers into corners and can easily be flicked through bends. Engine - flat spot at 4500-5000 - Raceco can get rid of that. Value - I paid 5800 new with a Paddock stand so still worth that I would guess. Equipment - only basic but so what? Fit racing pipes for more nosie! Quality - looks like new after 8 years Reliability - change the Siemans relays for Bosch - that’s been the only failure. Brakes - over the hadlebars! For a true air cooled V-Twin nothing beats it on performance especially if bored out to 1225 cc. Still makes the grin appear after all those years! My Moto Guzzi Daytona Dr John!! This Daytona is No3 of 20 specials released in 1994. 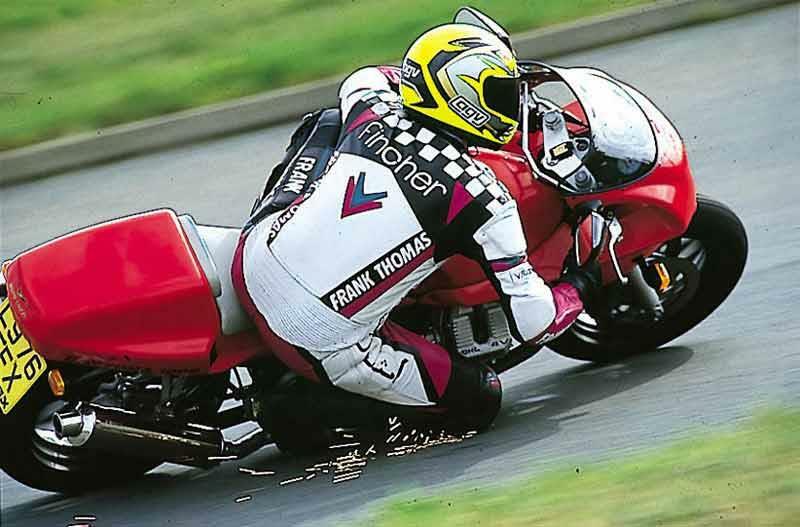 These bikes came as standard with......lightened& Balanced crankshaft, Carillo con-rods, Mondialforged pistons, special clutch, foam filters......etc etc...finished off with a full Termi, exhaust system and BLACK paint job with the Great mans signature in Gold .. This bike is living , breathing THUNDER ....Nothing else comes close in the Grin,sound and Soul department..words can't describe ! !